We’ve now been on the road for two solid years. During that time we’ve visited 145 different locations in both North and Central America. Last year we highlighted Eight Favorite Destinations from our first year of travel. With another full year under our belts, it’s once again time to select the best from the last 365 days. Each of the following headlines links back to our original blog post about the destination. 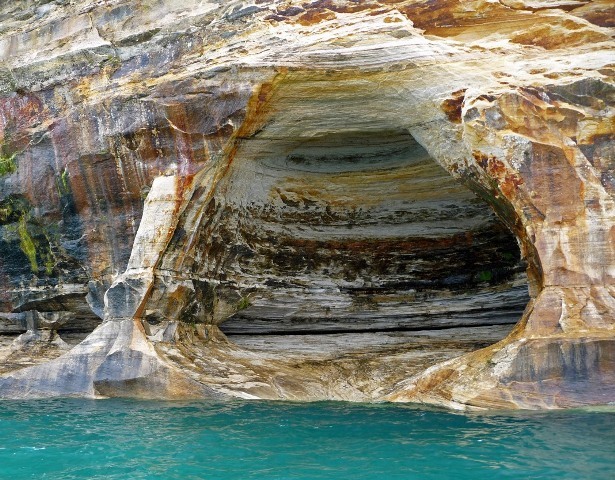 If 200-foot, multi-colored sandstone cliffs along a lake of emerald-colored water isn’t how you imagine Michigan, it’s time for a pilgrimage to Pictured Rock National Lakeshore in the state’s Upper Peninsula. It absolutely blew us away with its striking similarities to one of our favorite excursions ever: rafting through the Grand Canyon.